Do you and your spouse share a daydream? What’s unique about every recipe? I believe that every recipe has a story, every favorite dish a tale, that our tastebuds have the ability to take us back in time to our most beloved memories or to places we’ve never gotten yet, but only dreamt about. Every recipe has a story – the taste takes us back to a treasured memory. Ever since the beginning of our relationship, my husband and I have had this ongoing daydream when things get stressful and tough, that we would just run away. I remember writing him letters saying, let’s just run away together. You and I, that’s all we need to survive. Of course, that’s when we were young and in college and there was this unspoken hopefulness that it could actually happen. One day we’d just pack a bag and run off into the sunset. Over the years, even though we knew that our responsibilities would never allow it, the daydream got more specific. We narrowed down a place where would we run to, dreamed up a dream of what we would do in our new life when we’d escape together. We’d have a seaside cottage, in down-east Maine. He’d sell collectibles on Ebay and read comic books; become a reclusive hermit. I’d wear thick cable knit sweaters and wool socks with birkenstocks; drink tea while I read novels and grow bunches of blueberries. We went so far as to look up real estate in Maine and found a house we loved the look of online. The Dickersons in Maine – a daydream realized! Then one summer, we packed up the kids for vacation and we went there. It was a lovely trip, probably one of our most favorite family vacations. At the end of the trip, on a lark, we decided to drive out to the town to look at the house we’d set our daydream around for so long. The house itself look exactly like it had on the real estate website. A little white cottage, with a screened in porch, perched atop a cliff with a lovely ocean view. However, omitted from the description, and the pictures, was the neighbor’s house and yard, which was comprised of heaps of rusty, crushed old cars and towering stacks of abandoned appliances. Not exactly the idyllic locale that we’d imagined. Real life – with the taste of the daydream! Even though our little daydream was crushed by reality, it still remains,— this idea that we could just run off and we could leave our problems behind and have storybook bliss just living off each other’s love. It’s silly, it’s juvenile, it’s impractical, and it’s ours. 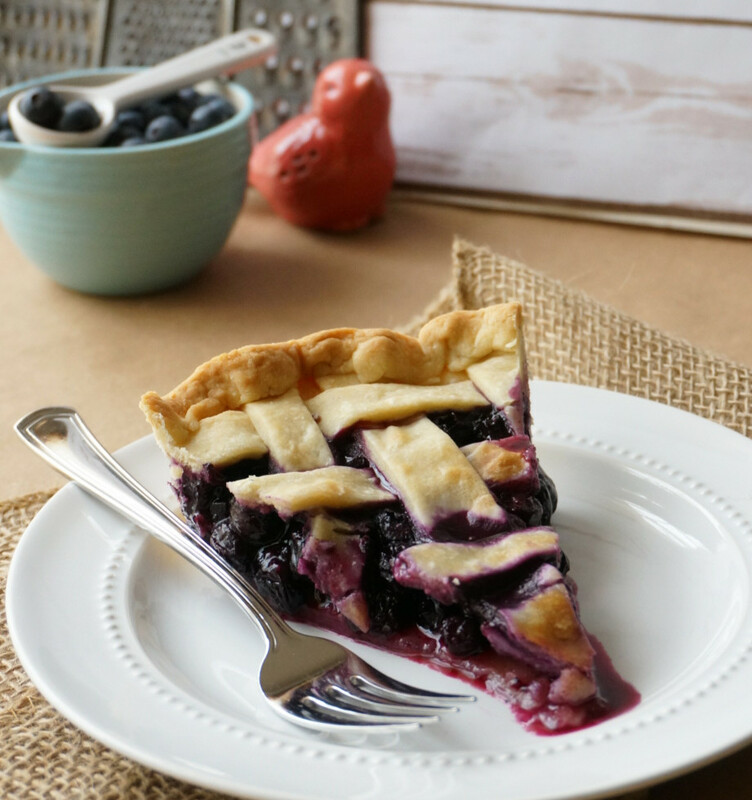 Every time we have blueberry pie, it makes me think of Maine. It makes me remember our secret little daydream. It makes me think of the “what if’s”, but also makes me appreciate the life we’ve built together where we are. Does your spouse hold a secret wish? Even though it might never happen, I believe it’s super important to let your spouse know, that even in the sometimes impractical, sometimes impossible, you support them and would be right by their side through it all. It’s important to share daydreams with your spouse – to let her/him know you’d be by their side. 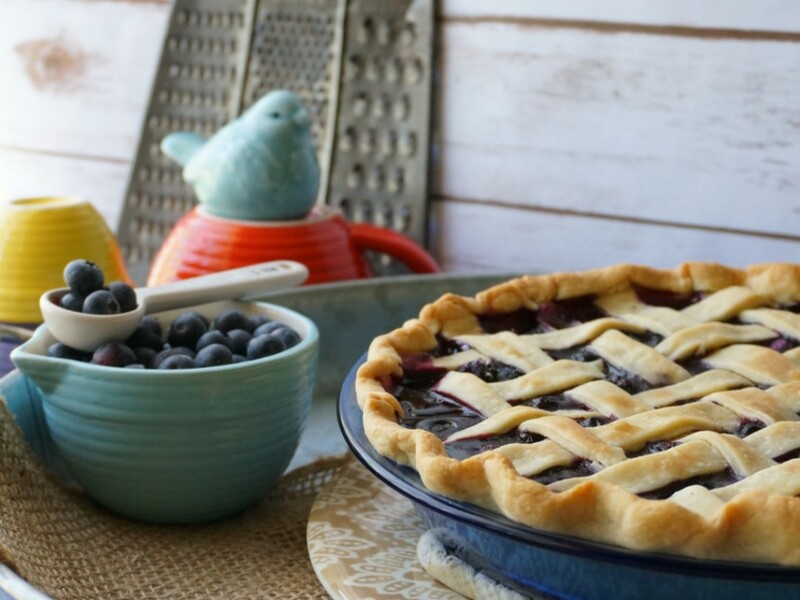 So, while I doubt that we’re ever going to leave the business, and run off to Maine to be hermits – so in love we’re oblivious to the world and eat blueberries all day long – we can sit on the porch eating blueberry pie and know that the dream lives on. Here’s a taste of our daydream, for you! Preheat the oven to @ 400 degrees. Mix together the blueberries and lemon juice. In a separate bowl, mix together the sugar, cornstarch and salt. Sprinkle this mixture over the berries and then pour the berry mixture into the crust. Dot the top of the berries with butter. Cut the remaining pie crust into ½ inch strips and weave for a lattice top. Crimp and flute the edges of the crust. Before baking, fit a small ring of aluminum foil around the edges of the pie crust to keep them from over browning. Bake for 50 minutes. Remove the aluminum foil. Turn on the broiler and place the pie under the broiler for around a minute to brown the top of the pie. Let sit for at least one and a half or two hours before slicing and serving. 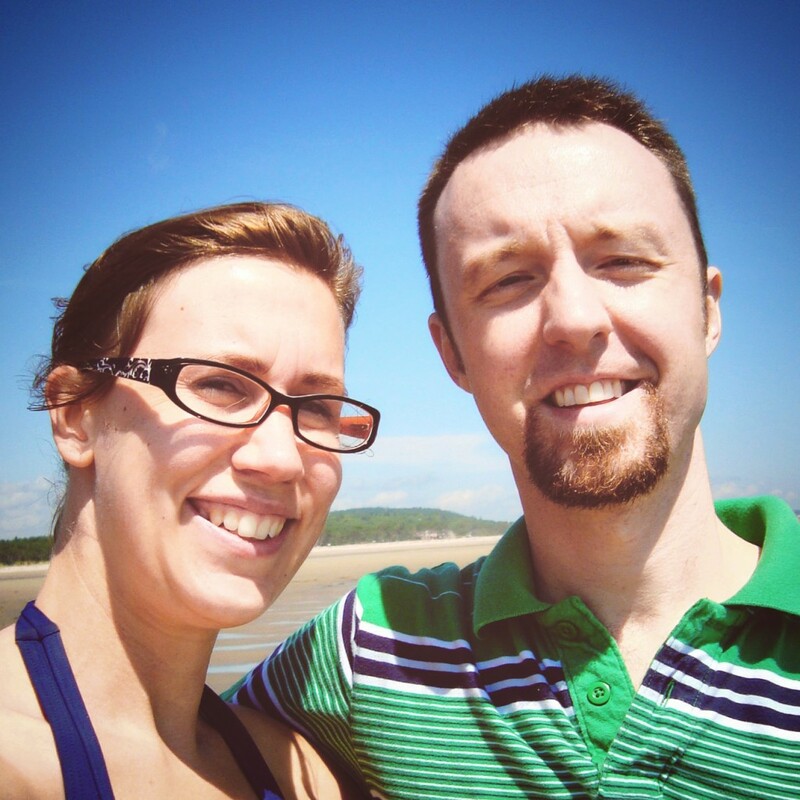 What are some of the dreams you’ve supported with your spouse? What about you? Have you ever tried out a “dream”? If you could, which dreams would you and your spouse try? Leave a comment! Oh wow. 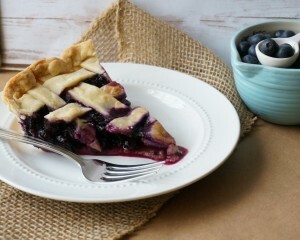 Suddenly I want to make that blueberry pie and eat it NOW! A little cottage in Maine sounds heavenly too. Jennie, I wish I could have that pie right now too! It was a stressful day. Definitely the kind of day where in my mind I do slip away that seaside cottage with a piece of pie in hand. This was incredibly lovely, Amy, and very romantic. We should all definitely share those unique daydreams with our spouse. When my husband and I were still dating, our daydream escape was to imagine us floating away on a lazy raft together down some broad river; I needed the raft more than he, but he was right there with me, helping me steer. I love the way you began this post. You reeled me right in, and the imagery throughout was dreamy. Lori, thank you so much for allowing me to share my story and my recipe on your blog! It may not seem like a big deal to some, but it always seems to be the same as someone inviting me into their home. I appreciate your hospitality! I’m thrilled to have your words here, Amy! Thank you for taking the time and energy (especially with the events in your life right now) for this fun and thoughtful post. I’m sure your ideas about daydreaming with your spouse are going to spark in everyone’s imagination!